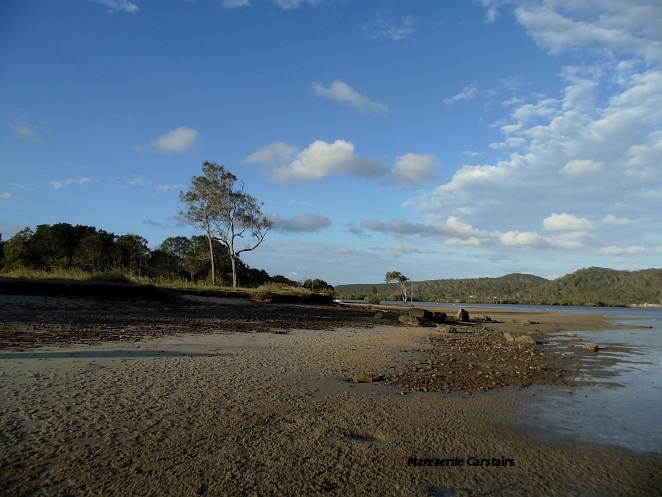 Do you know you can camp at Russell Island at Sandy Bay? 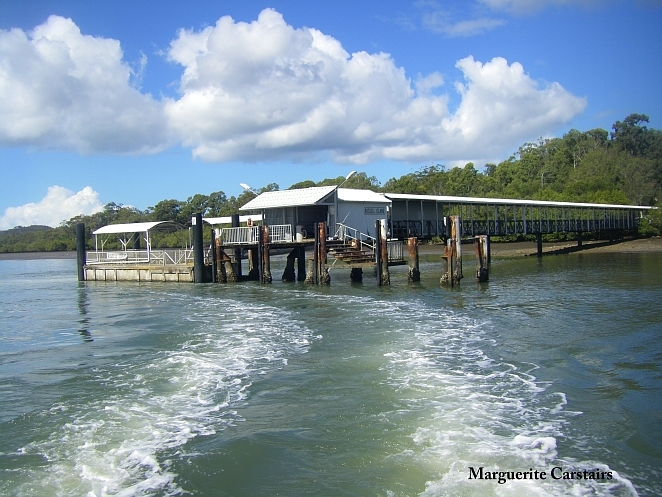 To travel to Russell Island, you can take Bus 250 from Adelaide Street, Brisbane to Redland Bay Marina, and then take a ferry to Russell Island. 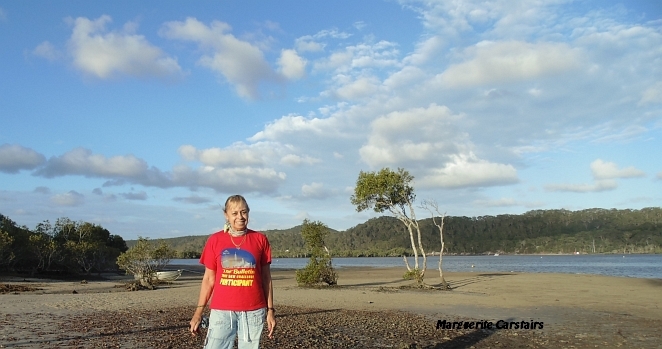 There is also Lamb Island, Karrigarra Island, and Mcleay Island, but Russell Island is the one with the free Camping. Alternatively, you can take the train to Cleveland, then Bus 250 from outside Cleveland Station to Redland Bay. 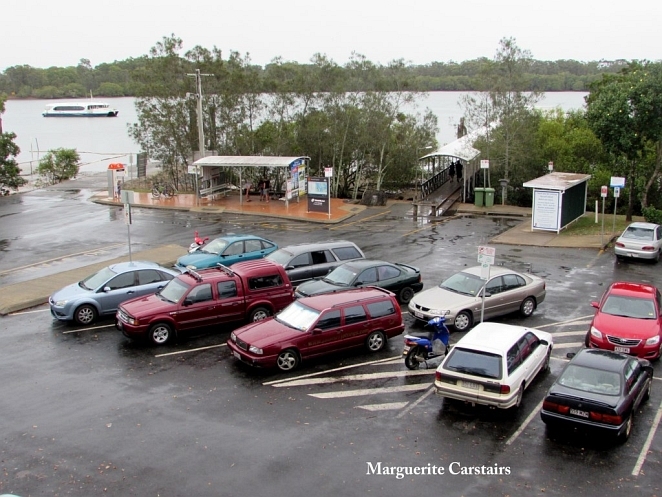 If you wish to take your car, then you need to take the Vehicle Ferry from Redland Bay Depot, which is opposite the shop and Redland Bay Community Centre. The cost is around $100 return, but there are special weekend rates which you can inquire about. 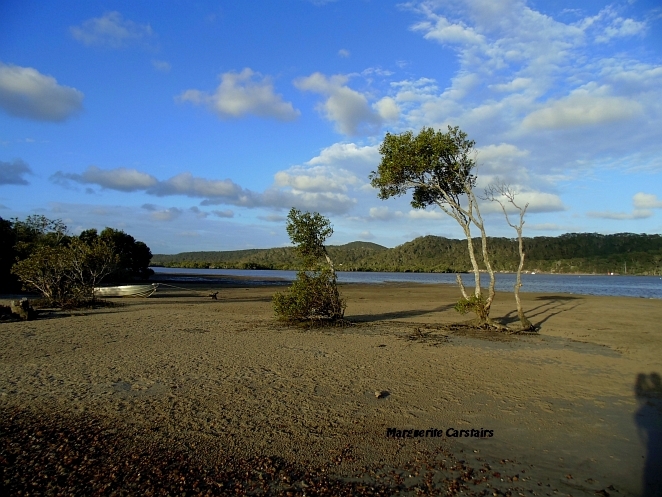 The ride to the island is about an hour, stopping at all the other islands on the way to Russell Island. Here you can drive 6 kms to the other side of the island and camp at the Lions Park Camping Area. There is a taxi available, or if you know someone on the island, you can call for a lift to Sandy Bay. Its a great place for fishing, so if you have a boat you can fish out in the waters. Stradbroke Island is ahead, and to the left is the Gold Coast. Lions Park was originally designed with canoeists and boaties in mind, the idea being that you arrive in your canoe or boat, camp at the designated park where there is water, toilets and electric barbecues for your use. 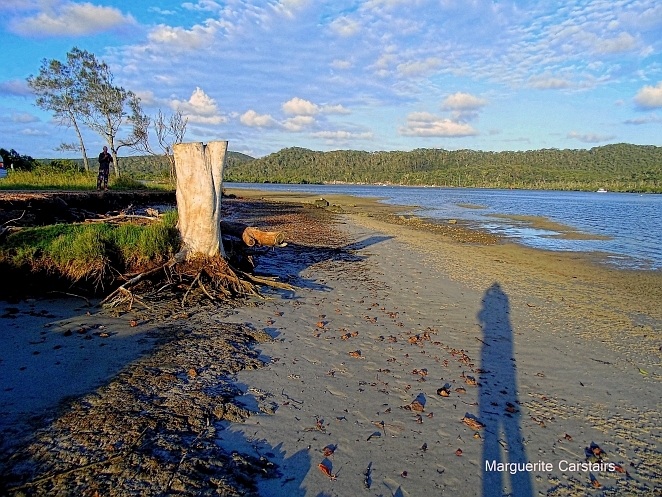 Then you fish, swim in the sandy cove when the tide is low, walk the mangrove tracks, maybe chat with the locals who walk their dogs in this area, and enjoy the magical sunrises and sunsets. At low tide you can see the sandy tracks left by the sand crabs that live in the area. In the evening you can see them running along the shore. They make good bait for fishing. When the tide is coming in, that when you sit patiently with a fishing line and wait for the fish to come seeking food with the tide. It is a beautiful serene place where you can enjoy peace and quiet away from the city. There is a playground for Children with play equipment. and plenty of grass to play games in. Evenings and early mornings there are lots of midges and mosquitoes so make sure you bring plenty of insect repellant and coils if you are staying the night. 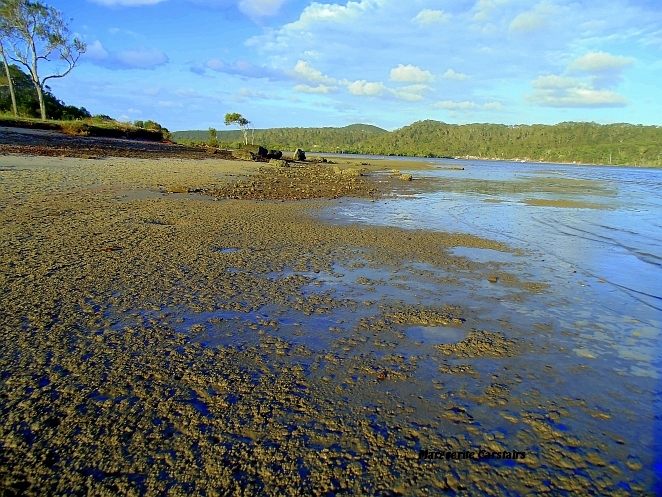 It is a very safe beach and at low tide, you can walk the sandy hollows and play in the sand. The Adventist Church meets on Saturday at 11am with Bible Study at 10am. 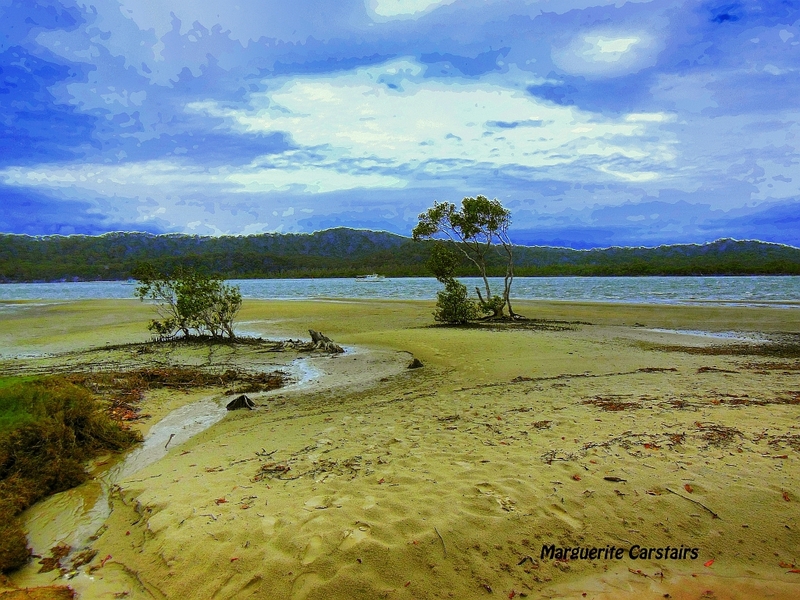 You can also spend time at Karrigarri Beach which is a free Ferry trip from Russell Island. 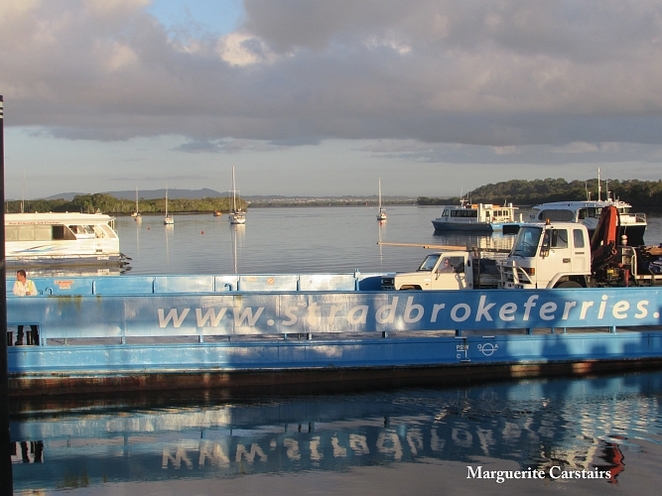 Inter island travel is free on the ferries, you only pay to return to the mainland, so you can explore the islands as well. 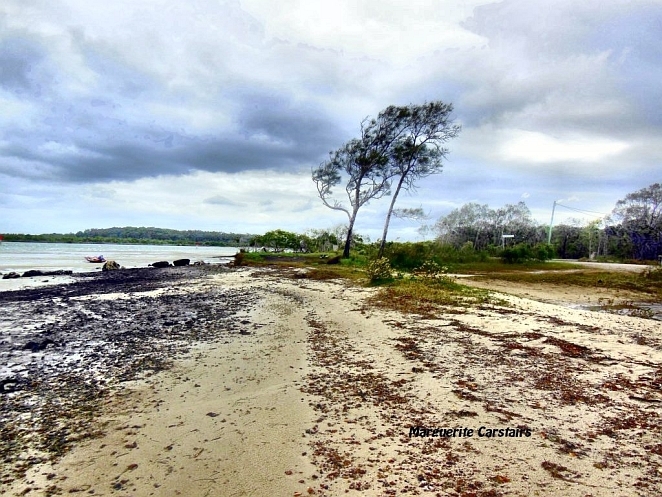 If you have not been to the Moreton Bay Islands, you may enjoy a weekend camping at Sandy Bay.